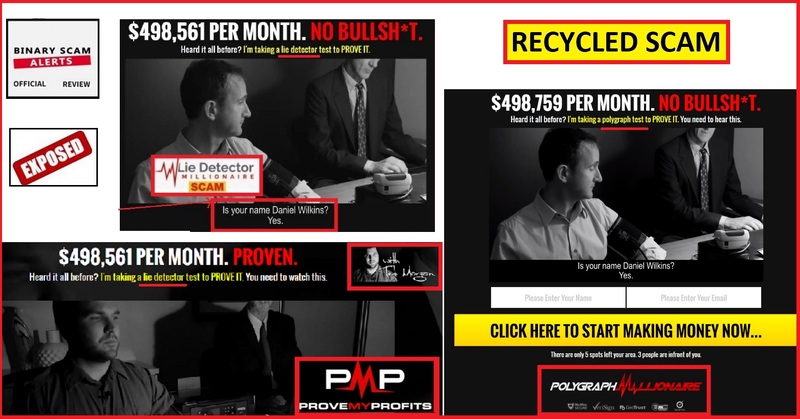 The Prove My Profits Software with Daniel Wilkins AKA Ted Morgan is a dangerous recycled SCAM, and we will prove why we blacklisted it in out fair and impartial review and investigation. If you are puzzled and would like valid and trustworthy answers as to why the Prove My Profits trading robot has been rehashed 3 times, you are asking the right questions so kudos. In our new and updated review we will attempt to provide our viewers and members different and more marketing-oriented insights as to the nature of this very misleading and deceptive campaign. Unfortunately, we have had various complaints about this fake auto-trader and all of them are providing us with a very solid and factual base of evidence. We will expose this latest system, and try to do it before 2017 as we have been asked to do so by our subscribers. If you believe this latest trading robot to be genuine or legit, you will have to deal with the consequences of having your money stolen. This despicable new app was designed with pure malice and the affiliate marketers behind it are relentless and will not stop until they have bled you dry. Keep reading this unique review to see how these online crooks operate and the way we were able to shed light on their dirty operation. Official Scam Website, Login Page, and Members Area: http://provemyprofits.com/secret.php? The diagram below represents all the versions of the Prove My Profits AKA (PMP) automated trading app. The first one is named Lie Detector Millionaire, and it is directly responsible for wiping out thousands of bank accounts for households across the world. The second one is called Polygraph Millionaire, and it is an exact replica of the former. The last in the lot is entitled Prove My Profits, and with exception to the logo and small textual changes it is a complete copy/paste SCAM. The answer is a bit complicated so we will try to simplify it for you as much as possible. Certain offers tend to work best with specific advertising channels. For example, this offer works best on paid ads for various life hack and news sites. For example, if you are searching the internet looking for an “easy ways to make money online” you will reach certain media or news channels that seem completely harmless. But the links or advertisements placed on those seemingly legit articles are very dangerous exactly for that reason. In reality they are designed to bait and mislead you, so be careful and extra vigilant. The image below represents the main method of operation for acquiring new customers. The affiliate marketers approach big advertising agencies which have access to above the line media channels such as Forbes or even Reuters. Naturally Google places these sites at the top of the searched pages due to their reputation, and this gives them a lot of advertising power and exposure. So, when searching for “make easy money online” you will see Forbes on the first page, and since you view it as a credible source of information you will most likely search that article and be directly exposed to what we refer to as “the bait”. If you click on that you will be directed to a fake news site (i.e the hook) and there you will find the links to the SCAM as the diagram below illustrates this cycle. It took our investigative team about a week to study and produce this diagram, and prove to you just how sophisticated the affiliate marketers behind the Prove My Profits scam really are. OK, But Why Is Is It Recycled So Many Times? The reason for that is because this offer works extremely well when coupled with the advertising tactic shown above. 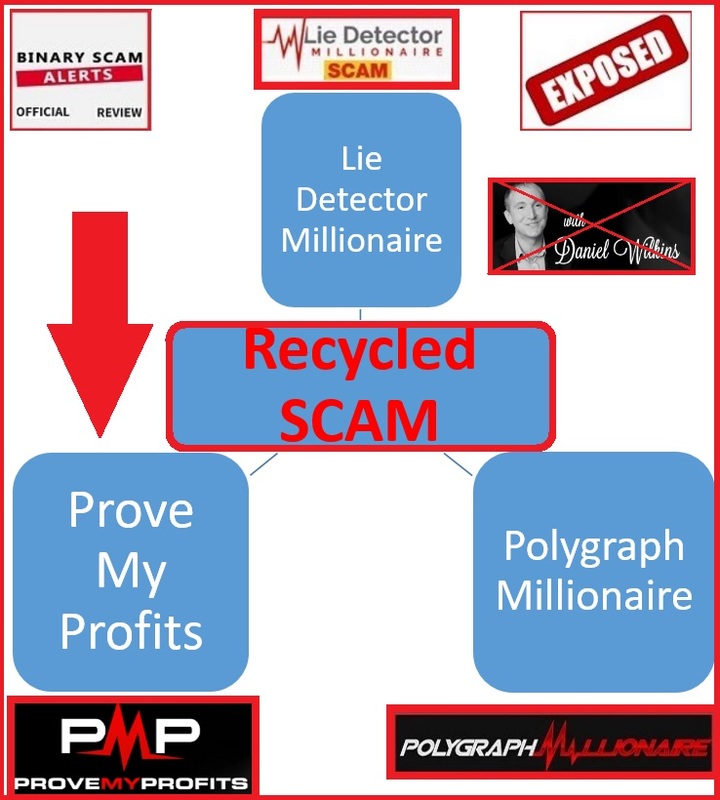 However, since the Lie Detector and Polygraph Millionaire have been blacklisted, these lazy crooks just decided to change the graphic design and leave the sales video. Truth be said, initially they just copied the script and changed actors but its seems that didn’t work so they went back and used the original footage with Daniel Wilkins. It starts when Daniel Wilkins or Ted Morgan (depending on your version of the scam) takes a polygraph test administered by Jonas Kane (Alias) a “former military general”. There Morgan is asked to answer a few basic questions. Right after that he gets into his car and starts to machine gun through a well-rehearsed script about how he “used to be a scam artist”, but now he is legit and making millions with his partner “trader X”. He proceeds to say that most traders can’t make money trading binary options online because they don’t have a way to factor in natural disasters or fires for examples (anything not cyclical). But he found a way to beat the markets and his newly developed algorithm has resolved this issue. In reality we are dealing with a rehashed scam designed to steal your money. Wilkins or Morgan are both paid actors and Wikins starred in the Blazing Trader SCAM. Don’t be fooled by phony or hyped up claims, fake testimonials, inflated bank accounts, and outright lies and fabrications. These criminals are relentless as well as crafty, and will not stop until they have stolen all your money. No, it will cost you at least $250 to get started and this money will be charged to your credit card by thieving brokers which may or may not be licensed or regulated. Yes, there are some fake reviews out there written by affiliates posing as legit site owners. Stay on your toes and don’t take the bait, you will be very sorry if you do. The ones to really avoid are Gemini 2 and Millionaire Blueprint. If you are deliberating and have doubts as to which is better for you it is very common. Fortunately we have compiled the best and most consistent money-making machines. These are proudly showcased in our recommended section. The Prove My Profits Software with Ted Morgan and/or Daniel Wilkins is a SCAM and this is clearly proven in our fair and impartial review. If you believe that PMP is a legit or genuine auto-trader then you will surely be disappointed and that is one thing we can guarantee so make sure not to click on any links, never download any files, and unsubscribe if you get an email. 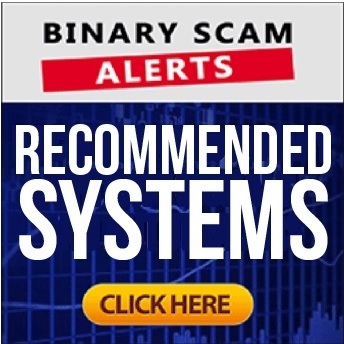 We have it from a well-trusted source that this financial scam is currently being orchestrated by crooked affiliate marketers operating in conjunction with corrupt binary options brokers. Once the customers are registered and fund an account, the loot is then split in what is referred to as a revenue share scheme. In light of all the evidence and findings our staff has produced, we have no choice but to blacklist this fake app and refer our members and subscribers to alternative investing channels. Don’t forget to join our Facebook group and Subscribe to our YouTube Channel.